Database Systems Corp. (DSC) has been providing computer software and services since 1978. DSC specializes in the development of contact center phone systems including voice messaging auto dialers. "Voice messaging is a mass communications technique that involves an automatic phone dialing system broadcasting voice messages to hundreds or thousands of call recipients at once. Voice message broadcasting technology has both commercial and public service announcement applications. Recorded phone messages can be sent to customers or alert messages can be delivered to community members in the event of an emergency." Voice messages can be delivered to either individuals or answering machines. If our voice message broadcasting system detects a no answer condition or busy signal, the message can be scheduled for delivery at a later time. Complete online reports are available to view the effective delivery of messages in this fashion. Contact DSC to learn more about our voice messaging services and phone systems. To learn how to use our voice broadcasting services, click on the Voice Broadcast Quick Tour. (Popups must be enabled on your browser). 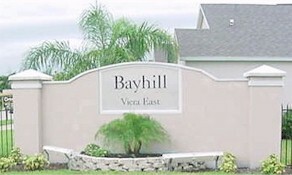 Bayhill Homeowner's Association has contracted with DSC to provide phone messaging services for its members. Utilizing our voice message broadcasting center, Bayhill contacts its members with recorded messages announcing upcoming events, meetings, and in particular emergencies such as severe weather warnings. Simple Voice Messaging - This is a basic call where the phone system dials from a list and plays one standard message either to an individual, or to an answering machine and an individual. No person or agent is required to talk with the contacted party who in turn simply listens to the message. This technique could be useful when you wish to provide basic information or announce an event, provide a reminder, or request an action from the contacted individual. Custom Voice Message Broadcasting - This is similar to a Simple Message Broadcast but the phone system plays a customized message based upon the number dialed. Unique items of information can be inserted into a basic voice messaging alert. Likewise the entire message could be unique for each number or based upon demographic items in the call list database. The message itself could be stored in the database. Message Broadcasting with Phone Keypad Response - This method expands the prior broadcasting technique by playing a message that gives the contacted individual options from which to select. Using touchphone responses such as "Press 1 for...", the choices could include obtaining additional information, being removed from the call list, leaving a voice message, or terminating the call. Different voice messages can be left on an answering machine or the answering machine could be ignored completely. Although more complex than the prior call types, this form of message dialing does not require that an agent be available to handle this call. Voice Messaging with Call Transfer - This is similar to the prior call technique but with the option to transfer the call to a third party. 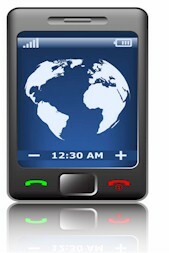 Again, using touchphone responses the contacted individual can request that the call be transferred to an outside agent. The phone system dials another number and when contact is made with the third party or different phone system, the call is transferred. This is effective when the transfer party or organization is remote or not directly connected with your phone system and center. "Smart" Voice Message Broadcasting - This type of calling campaign blends voice messaging with predictive dialing and can produce very productive results. Voice messages are played to the called individual, and if the person expresses an interest in your product or service, the call can be routed immediately to a group of agents who are actively standing by to accept calls. This type of call works well when a call center is behind the message broadcast campaign. You have effectively transformed an outbound call center into a more productive inbound center with voice messaging. Contact DSC to learn more about our voice messaging services and voice message broadcast solutions.